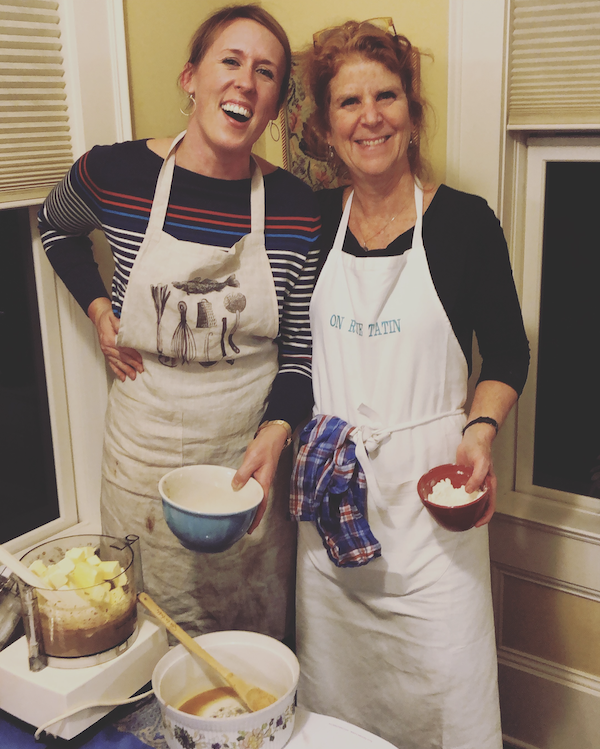 For about four hours one evening this past December I escaped to France vicariously through an awesome opportunity to cook with Susan Herrmann Loomis in Portland, Oregon. I know many of TSLL readers are quite familiar with Ms. Herrmann’s cooking school in Normandy, On Rue Tatin, but if you aren’t, she was a guest last January on The Simple Sophisticate podcast (episode #192) which I highly recommend checking out as we have a wonderful conversation about food, salt, the French culture and even Julia Child. Having lived in France for more than 20 years after having been born and raised primarily in the states, she is an internationally recognized author and food journalist, having authored 13 cookbooks and memoirs (her most recent this past summer – The French Grill, and my favorite In A French Kitchen), and has teamed up with Patricia Wells to co-research Wells’ best-selling The Food Lovers Guide to Paris. 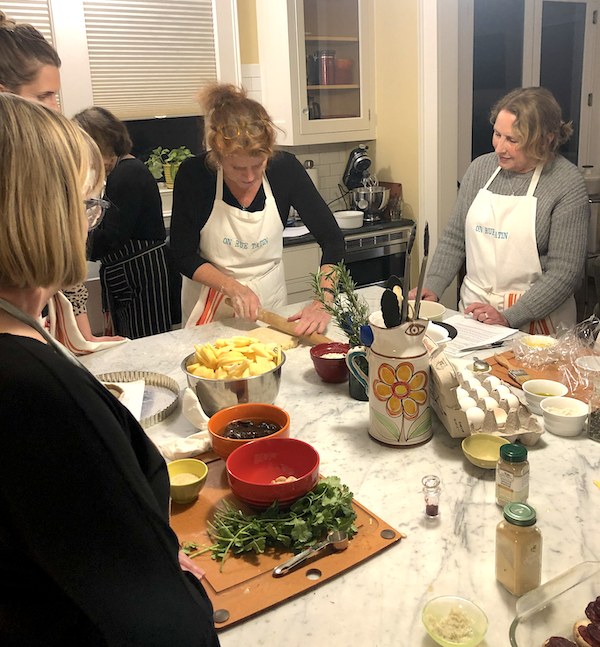 You may remember this past fall, I shared on a weekly This & That post the opportunity to sign-up for a private cooking class in Portland, Oregon, to cook with (and most importantly, be taught how to cook by) Susan Herrmann Loomis. She was planning on spending some time in the Pacific Northwest during the holidays, and this special opportunity was something I was tickled to be able to offer to TSLL readers as only 8-12 spots were available. Well, unbeknownst to me, I received an invitation to attend from Susan directly, and I couldn’t say yes fast enough. 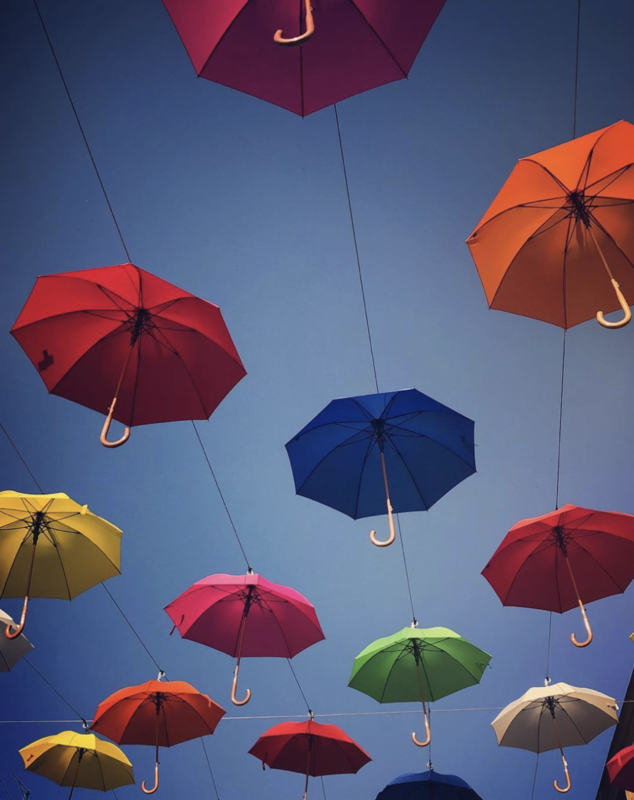 We had hoped to meet for the first time this summer while I was in France, and in fact, I did visit the town she calls home, Louviers, and with Susan’s guidance via email, visited the local market which was a delight, and on Bastille Day of all days! (see my image from the town below) Unable to meet up in person as, it gave me all the more assurance that I knew I wanted to meet this talented and inspiring woman. 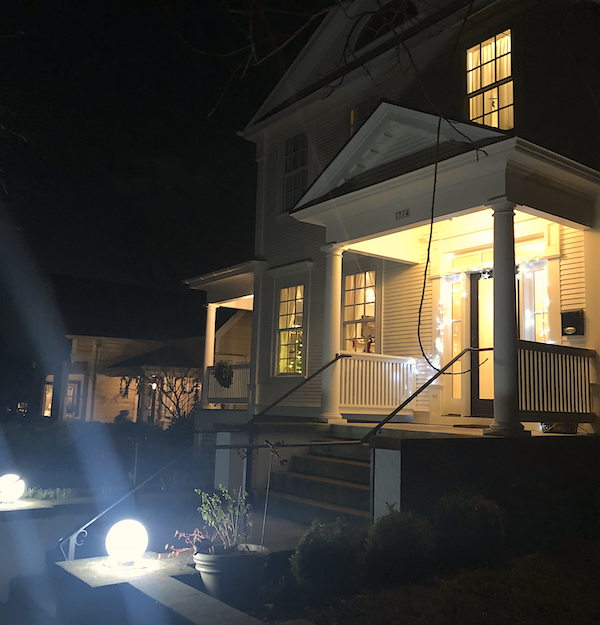 The cooking evening took place a mere few days before Christmas, and so the home we had the opportunity to cook in was not only in the lovely East Moreland neighborhood of Portland, but was decked throughout the interiors for the season (see the entrance below). 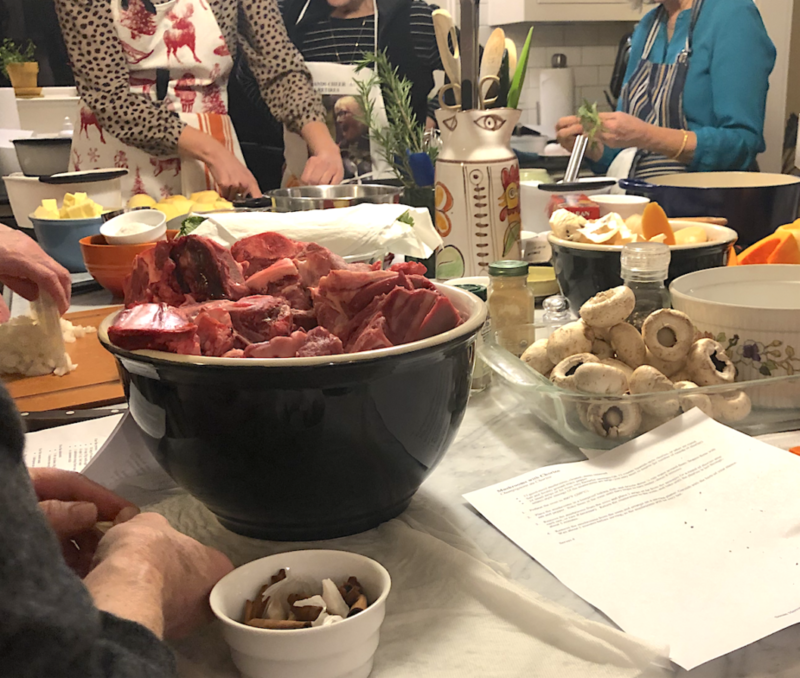 With 14 people ready to cook, we gathered around the marble island and first were treated to a chocolate and then a salt tasting and teaching. Then the cooking began. Each station was already prepped with the necessary recipes to guide us to success. The menu was full of delicious flavors and creative insights as to how to welcome more flavor without the fuss into cooking. As we each tended to our recipes, my mouth was watering, eager to taste what we were making. 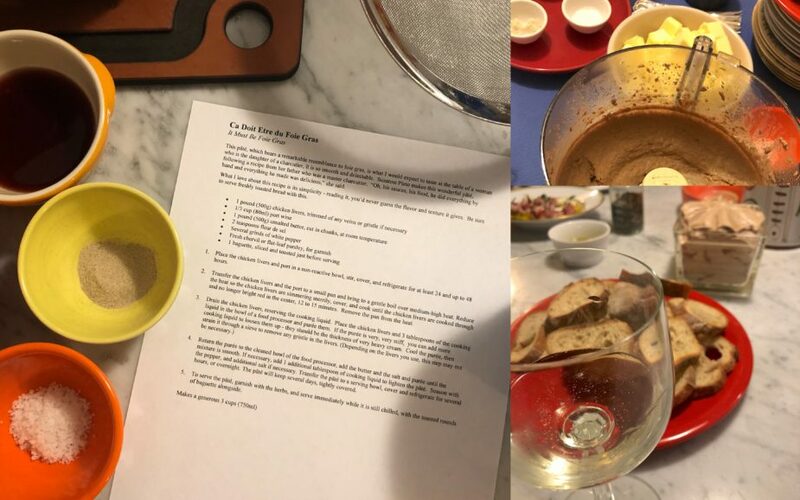 Tasked with the Faux Foie Gras (it was made with chicken livers :)), I set to work, and then upon placing my appetizer in the refrigerator to chill, I made the flourless chocolate cake that you will find in Susan’s new cookbook The French Grill. While we didn’t grill that evening, this cake indeed can be made on the grill! And it is so light and full of chocolate flavor, you and your guests will be in for a treat. Amazing! 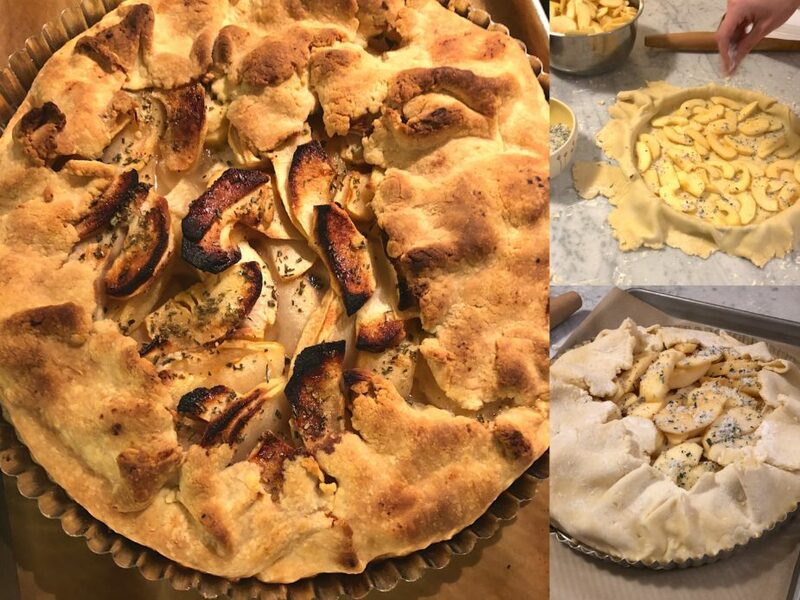 (I have shared this recipe at the end of the post). To meet Susan was a true treat, and a memory I will not soon forget. 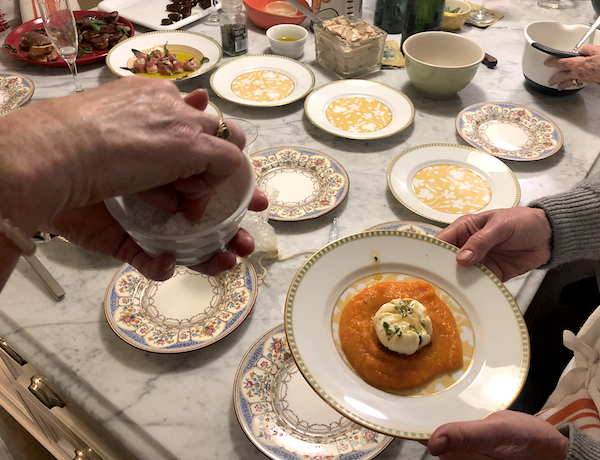 Once we made each of our dishes, we enjoyed them in courses, complete with wine served by the hosts – thank you Mimi and Jerry. What made the evening all the more special was chatting with the other fellow cooks and Francophiles, and sitting down to dine along with Susan. I also felt truly fortunate, as I even had the opportunity to meet some TSLL readers as well (hello Jane!). 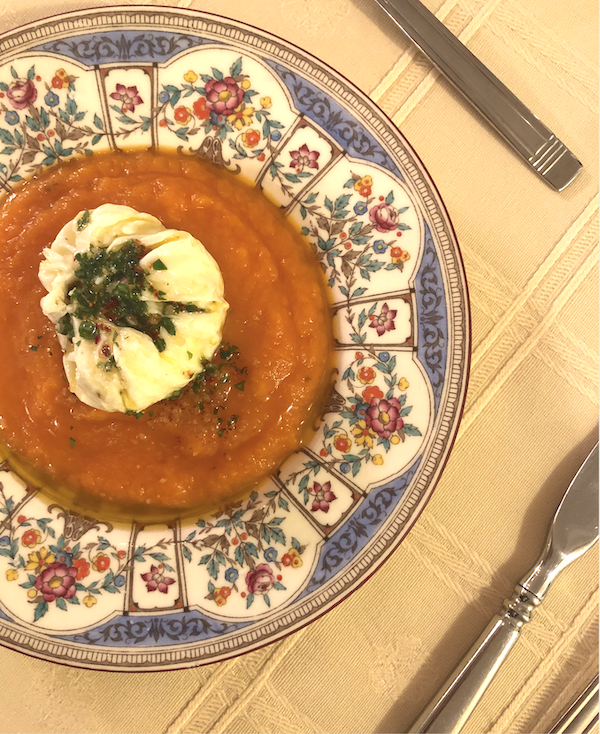 I cannot recommend more highly the experience to learn how to cook, cook well and become more familiar with French cuisine as well as other culinary influences that Herrmann Loomis has gathered from her travels around the world. She is an engaging, hands-on and an extremely knowledgeable teacher. 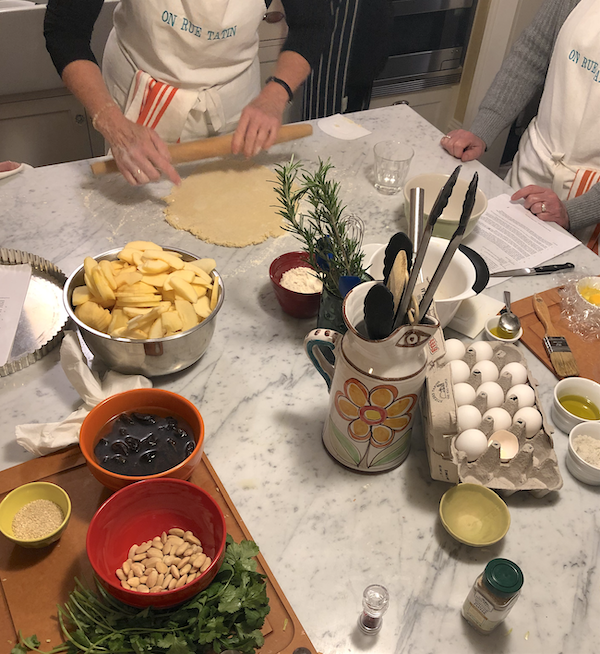 Whether you have the opportunity to join her for a day or week-long class, you will walk away with an abundance of knowledge, delicious recipes and wonderful memories (and your appetite will be utterly satiated and satisfied as well). 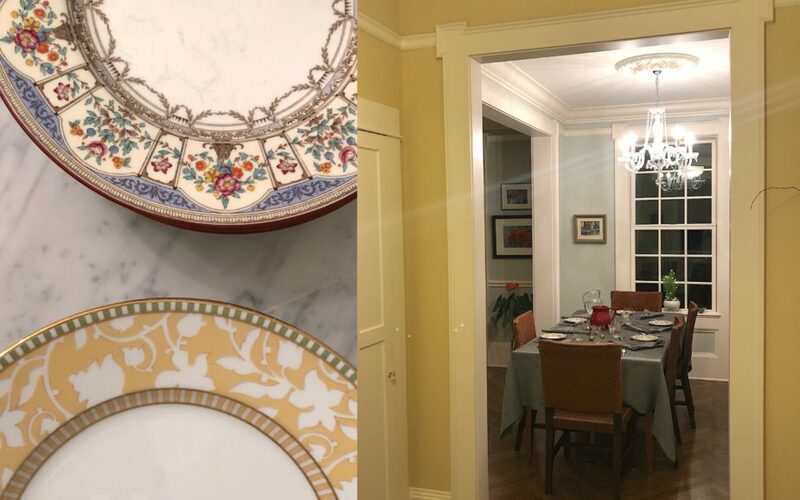 One of the dining tables set up in the beautiful colonial inspired home (have a look at the chevron floors and the exquisite plates. Gathering around the island, everyone has their task. 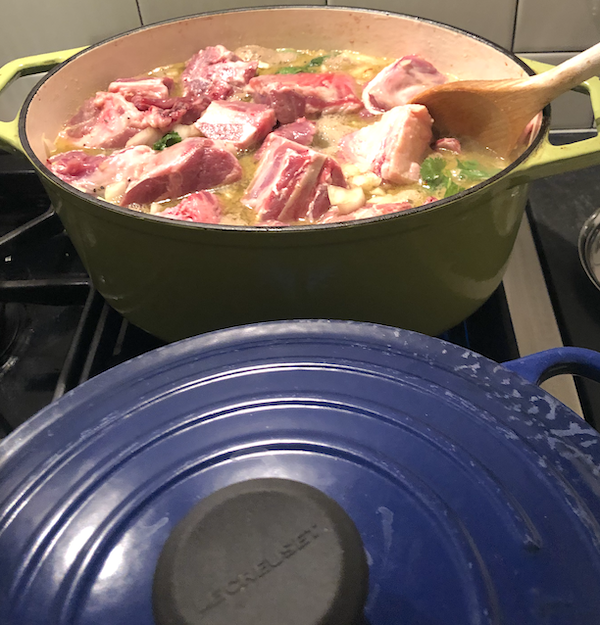 The lamb shanks begin to cook. 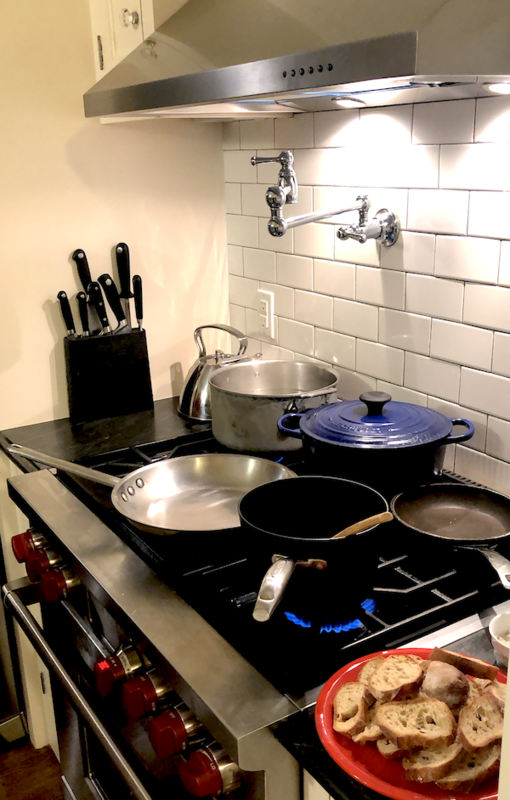 A full stove with a variety of recipes being tended to. Then the flourless chocolate cake. Susan demonstrating how to make pastry dough. 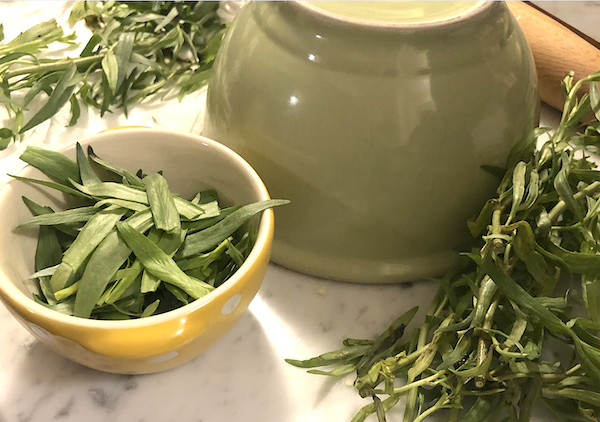 Tarragon for the second course. Prepping the salad greens and the sweet potato purée in the background. 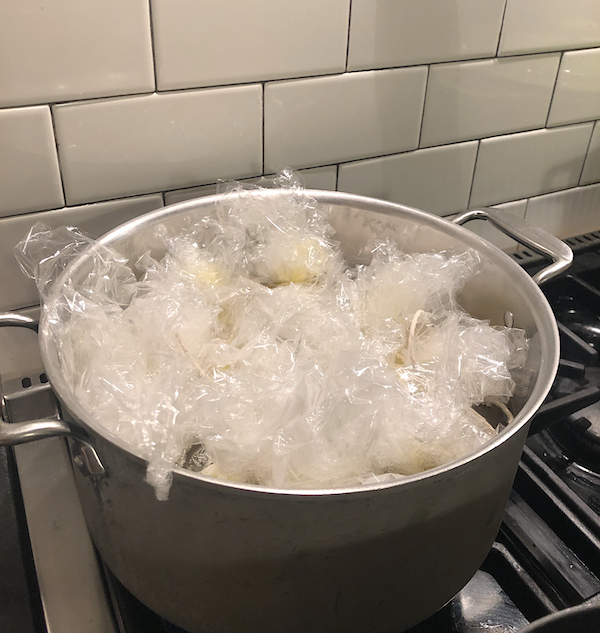 The poached eggs in cellophane ready to offer the beautiful flower effect when they are removed after 4 1/2 minutes in water boiling at medium-high heat. Voila! The egg flowers (poached egg in plastic wrap) with Kuri Squash. 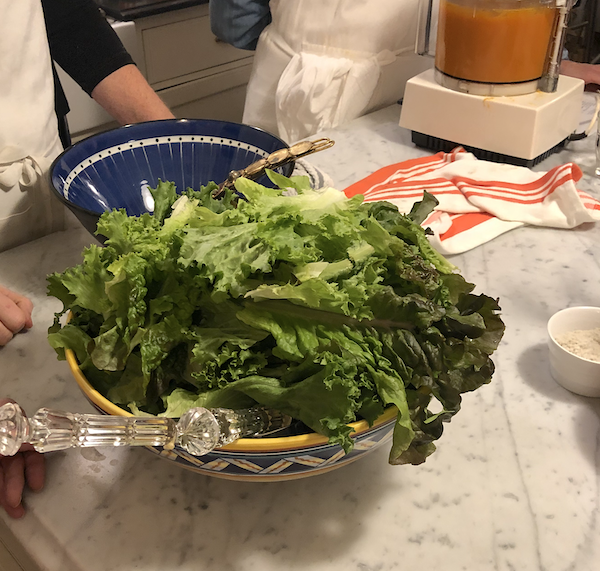 Susan is adding a touch of Cumin salt and each dish was dressed with apple cider vinaigrette with tarragon and a pinch of hot paprika and fine sea salt. Almost too beautiful to eat, but we must eat it and it was even more delicious than it looked. Susan providing some assistance as I am about to add the butter to my It Must Be Fois Gras (but it’s not!). I was in a true state of bliss. Preheat the grill to 350F (180C). If using a charcoal grill, put the coals on one side fo the grill. Butter and flour a 9 1/2 inch (24cm) round cake pan. Place the chocolate, the butter, and the salt in a small pan over low heat and melt it, stirring occasionally to be sure the chocolate isn’t sticking. When the mixture is melted, remove it from the heat to let cool slightly. In a large bowl or the bowl of an electric mixer, whisk the eggs until they are combined. Add the sugar and continue whisking until they are pale yellow and slightly foaming, which will take several minutes. 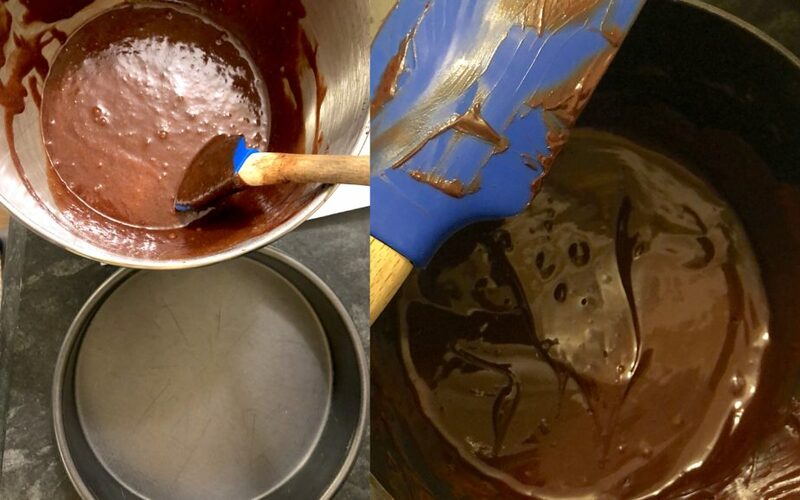 Fold the chocolate mixture into the eggs and sugar until thoroughly combined. Pour the batter into the prepared pan, holding the bowl low over the pan so that the mixture doesn’t have to “fall” too far. Set the pan on the grill away from the coals. Cover the grill and bake until the cake is puffed and slightly firm to the touch on top, which will take 25-30 minutes. Remove the cake from the grill and let cool to lukewarm before slicing. ~Why Not . . . Read a Cookbook for Pleasure? I must comment on the beautiful post and the bonus at the end. Your smile. Could you be any happier or engaged? Wonderful experience! Yes, beautiful post and smile! Now I’m smiling! Susan’s classes are simply the best. I adore her Egg Flowers on Puree of Squash recipe which is simply ingenious. Oh and the Must Be Fois Gras recipe is a company favorite at my house. Actually, you can’t go wrong with any of Susan’s recipes. Great post. Thanks for sharing it with all of us. Thank you for sharing your experience Cathy. So right on all of the points and those flower Poached Eggs are simply wonderful! That chocolate cake is just wonderful and do try it in your oven if the grill is not available yet. 🙂 So scrumptious. And yes, well said, she is very generous, all around. I feel most fortunate to have made her acquaintance and over the moon to have met and spent this time with her. 🙂 I do hope you are able to take a class with her in Grance.